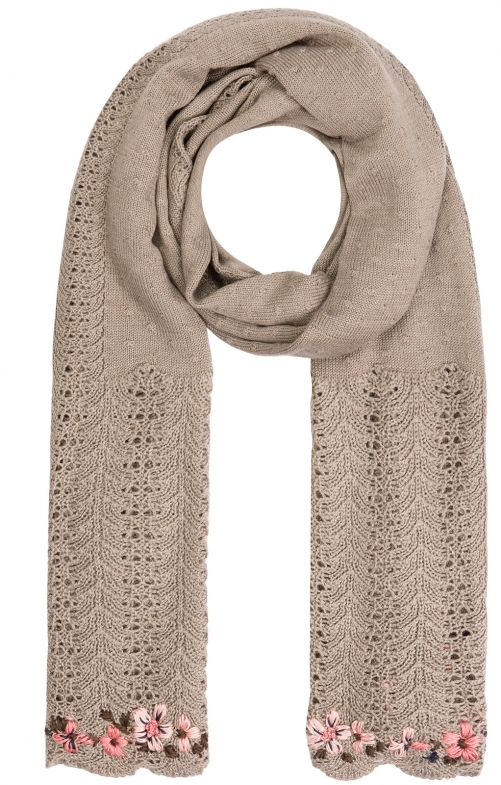 Traditional scarf SH-350 for women by Stockerpoint in nut. The exclusive model convinces with a high-quality material mix and classic rib knit elements. The floral embroidery motifs are hand-embroidered and lovingly, colour coordinated.